Joe Lee conducting an in-studio interview at WAER. Joe Lee hears voices every day. Voices from the past. They don’t haunt him. They make him smile and his heart swell with pride. They are the voices of the broadcast elite, recognized around the world because they have become icons in the news and sports business. And many of them were inspired by Joe and what he has done in his role as director and general manager of WAER-FM for more than two decades. Better performance means ensuring that the professional staff at WAER and the scores of student volunteers are responsive to dramatic changes in the media world, disruptive technologies and—perhaps most importantly—to the evolving needs of the community. “We have dropped the term public radio and now use ‘public media’ but it remains all about public trust,” says Lee. Mobile applications, the web, podcasts and social media continue to transform how information is disseminated and received. Lee wants to ensure that the multiple forms of media are being used effectively to “enlight, engage and entertain”—the three words that define the mission of WAER. “Students come to us for different things. We have about 40 to 50 students who want to do sports and 15 to 20 who are interested in just news,” says Lee. “They come to us to learn how to report, but they show a deep interest in what public media is all about. They learn how to provide perspective in storytelling, balance and context.” For example, student reporters are not likely to find themselves covering car accidents or house fires, unless a single tragic event impacts the broader community in large ways or has implications for public health and safety. 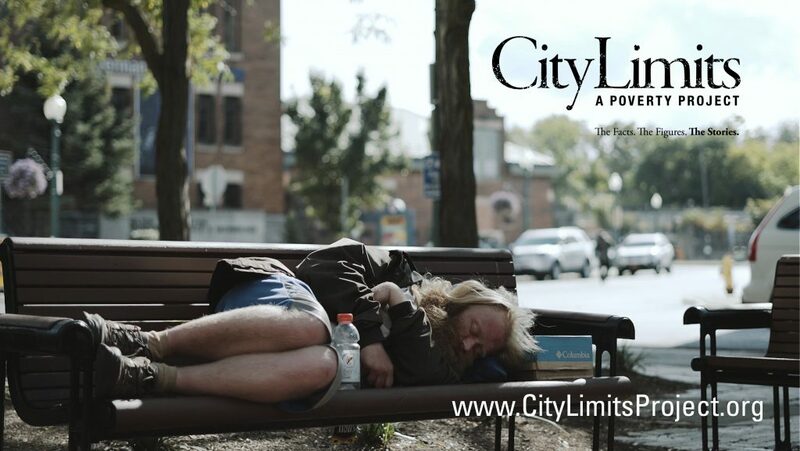 City Limits is an ambitious, multi-platform civic engagement project produced by WAER Public Media that examines and explores poverty in Syracuse. Public radio, the way Lee sees it, has always been about great storytelling. Now, it is also about public engagement, truly connecting with the community it serves. Hence, the yearlong initiative called City Limits: A Poverty Project, a multi-platform civic engagement project that examines poverty in Syracuse. It is a mix of journalism, storytelling and community convening designed to spark a communitywide dialogue of individuals, organizations and community constituencies on issues ranging from food insecurity to economic development to affordable housing and more. Contemplating next steps in the evolution of WAER programming, Lee is focused on making the community a real partner in telling important stories. 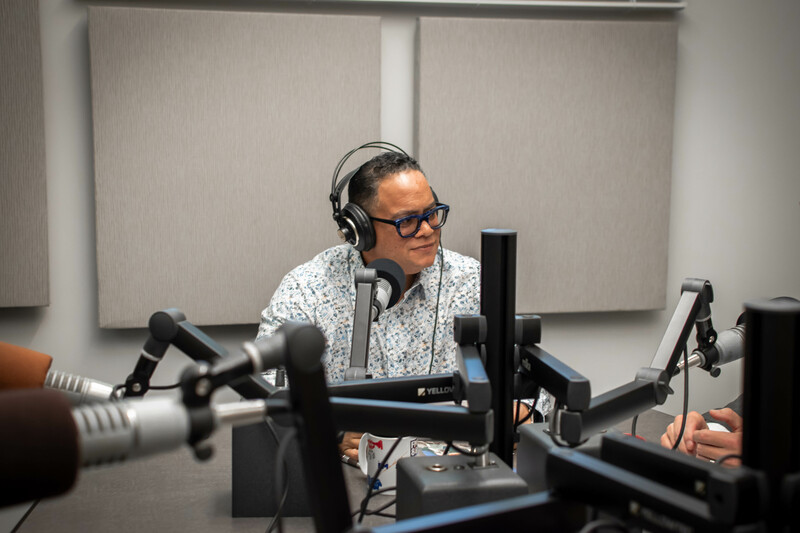 He’s inspired by a model put forth by a consulting firm called Hearken (which means “listen”) generating public-powered journalism through relevant and original stories. Through resources like CNY Vitals from the Central New York Community Foundation and other data aggregators, students can learn to identify the most important issues that will impact the region’s ability to make progress. “We will discuss, as a staff, a range of issues we want to tackle,” says Lee. “These won’t likely turn into year-long projects, but more of a series of reports on important issues. We will start to focus our reporting on beats, like education, environment, race and culture, to name just a few.” Through a collaborative process with newsroom staff and students, Lee envisions developing series of reports that can be transformative in the community. 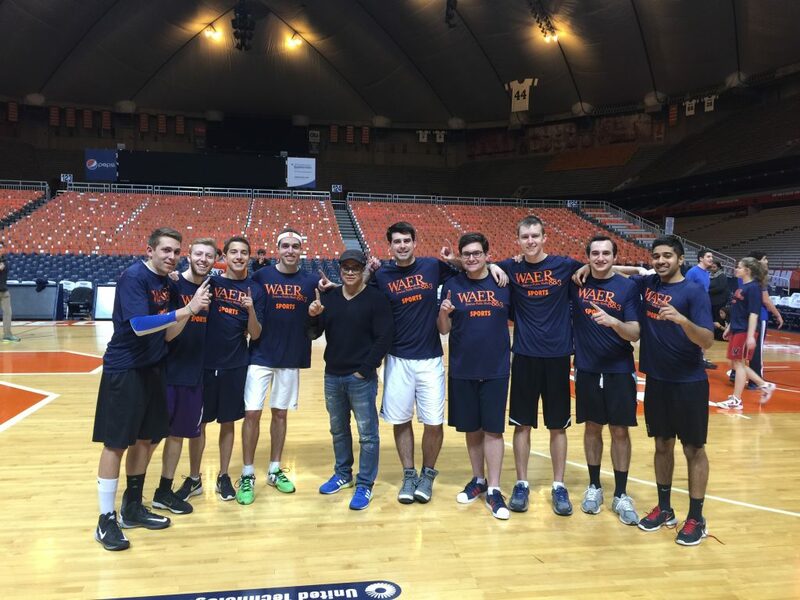 Joe Lee (center) with the WAER basketball team at the annual Media Cup game. Staff Spotlight shines a light on many of Syracuse University’s most dedicated—and talented—members. Their work on campus. Their often very interesting lives away from campus. It is our pleasure to share their stories. Know someone who should be considered for an upcoming Staff Spotlight? Contact Kevin Morrow, director of internal communications in the Division of Marketing and Communications, at kdmorrow@syr.edu.